Bahri, a global leader in logistics and transportation, showcased its comprehensive range of services and solutions at Breakbulk Europe 2018 and Posidonia 2018, two of the international shipping and logistics events. The exhibitions provided outstanding platforms for Bahri to highlight its global presence and capabilities, helping to increase brand awareness and paving the way for further growth in the region. Held at the Metropolitan Expo Center in Athens, Greece, this year’s edition of Posidonia 2018 saw Bahri showcasing the latest updates to its comprehensive maritime capabilities, including the addition of latest ten new Very Large Crude-oil Carriers (VLCCs) to its fleet in 2017 and 2018, which further consolidates its position as the world’s largest owner and operator of VLCCs. Bahri also highlighted its key role in the King Salman Global Maritime Industries Complex shipyard development in Ras Al-Khair, Saudi Arabia. 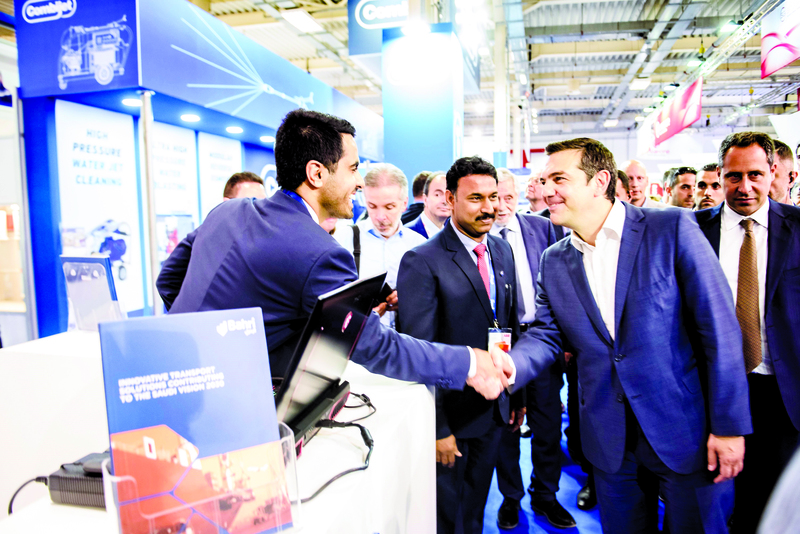 Alexis Tsipras, Prime Minister of Greece visited Bahri’s booth at the exhibition, in addition to Kwang-Hean An, CEO of Hyundai Global Service (HGS), and a number of high-profile dignitaries and industry experts. Breakbulk Europe 2018 is the world’s largest exhibition and forum for breakbulk and project cargo logistics professionals, and this year’s edition marked the third successive year that Bahri has participated in the event, which took place at Bremen Exhibition and Conference Center in Germany. Bahri Logistics is among the top-ten breakbulk carriers in the world and operates six multipurpose vessels with 26,000 DWT each on its regular liner schedule, carrying project, breakbulk, Roll-on/Roll-off (Ro/Ro), and container cargoes in a single voyage.